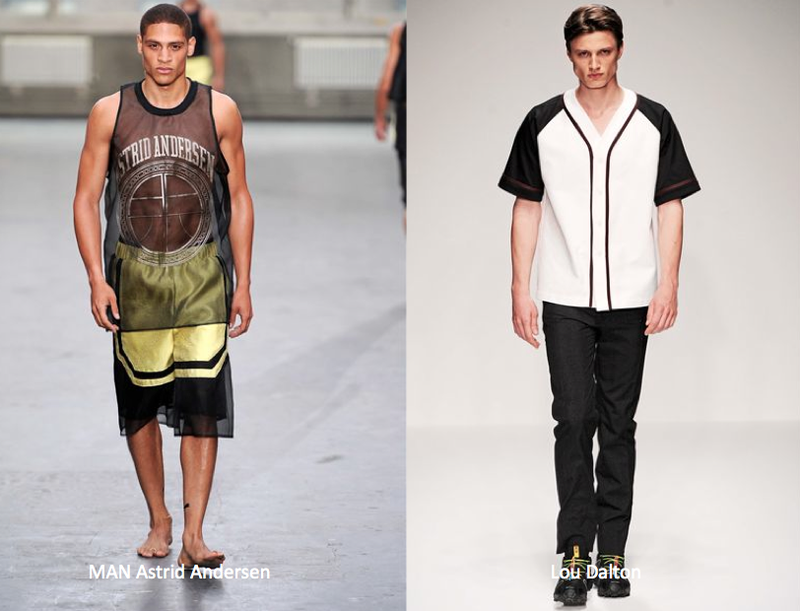 The Spring/Summer 13 menswear runway season got off to a different start this time around with London launching a three-day showcase called London Collections: Men. It happened just before Pitti Immagine Uomo in Florence and the current men’s fashion week in Milan which will be followed by Paris as per usual. Here’s why London matters. For starters, menswear has long relied upon fashion weeks in Milan and Paris almost omitting the men’s collections that show alongside womenswear in New York and London (which happen 3 months too late anyway). In menswear more-so than womenswear, it would seem that we are mostly looking at big luxury brands for direction.. and a lot of times that equates to a whole lotta suits. 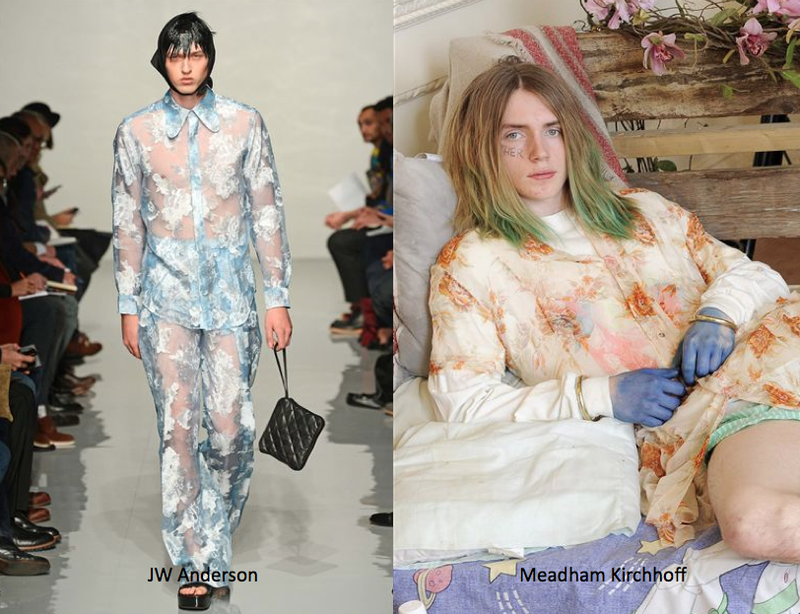 Emerging designers aren’t as well featured and that’s where London comes in. In just 3 days, more than a handful of brands made their mark, most geared towards the youth market. It felt refreshing not only as our first look at the season but as if youth culture is finally getting its platform in menswear. It doesn’t hurt that the timing is also spot on. Below are a few highlights from London. This one is perhaps early to say, but a few designers signal a more FEMININE direction for menswear via sheer materials and a soft color palette. 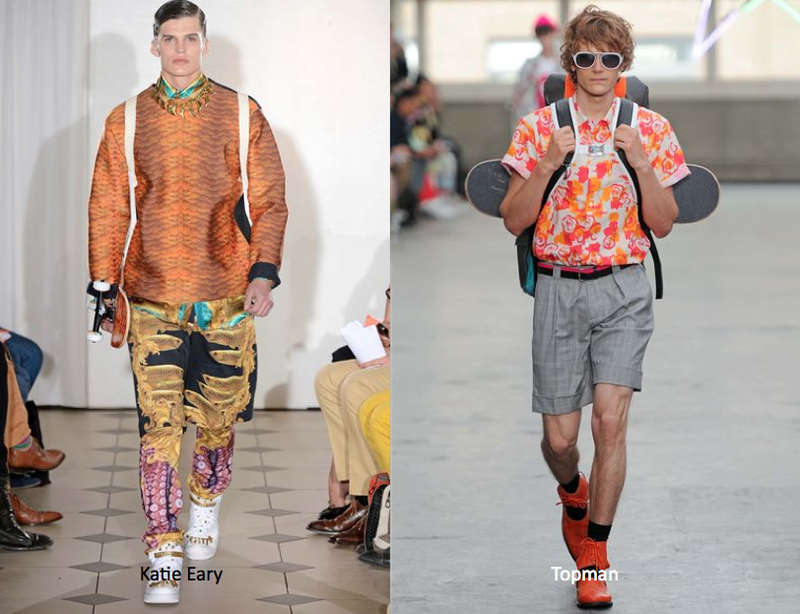 Elsewhere designers featured inspiration taken from SoCal SKATERS. SPORT reference was also strong with baseball and basketball jerseys. 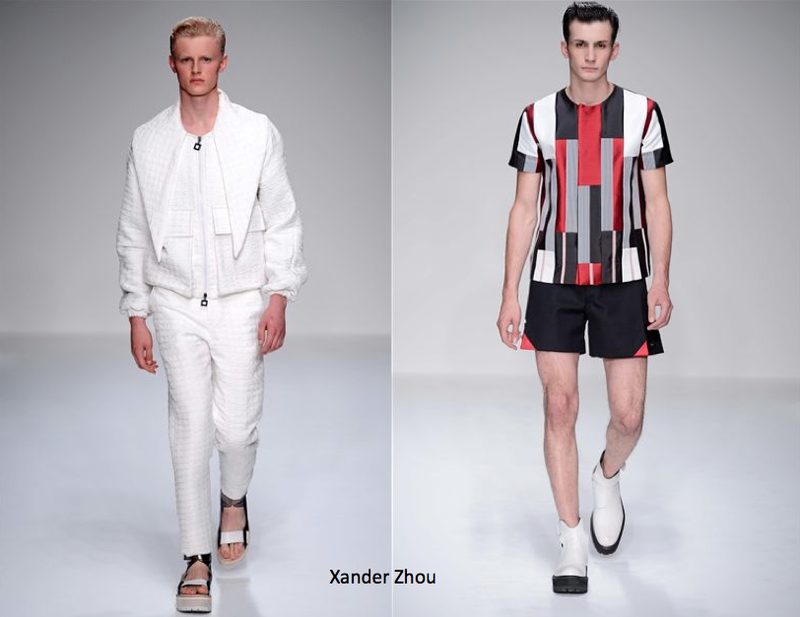 A more sophisticated take was noted at Xander Zhou with a new FUTURIST direction. 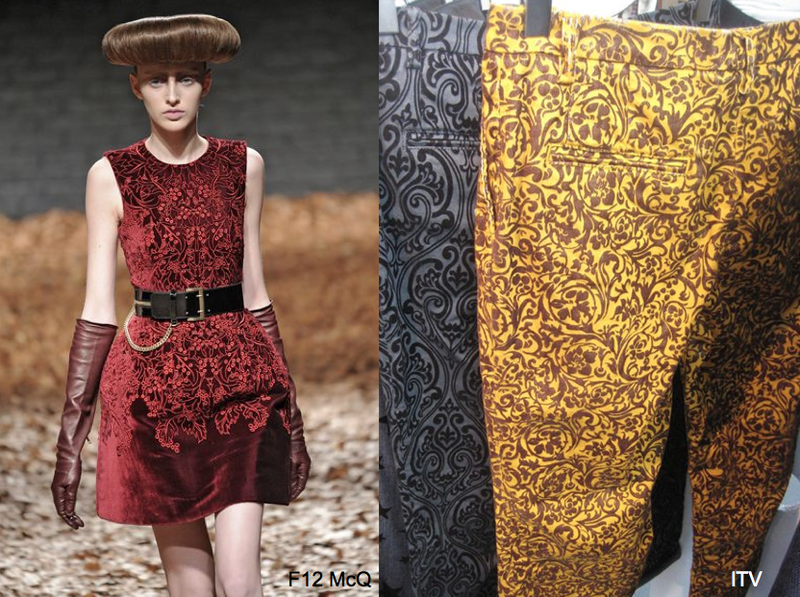 In silhouette direction, BAGGY shapes were key on pants and shorts. 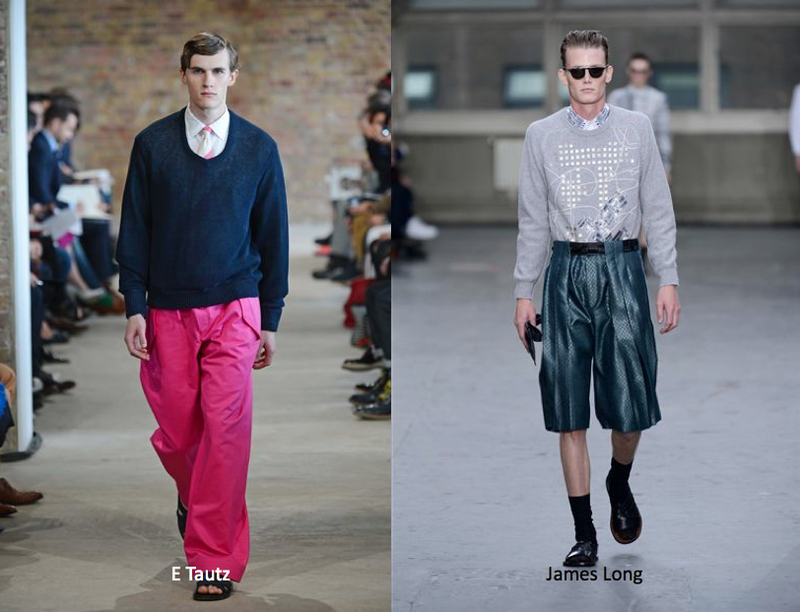 James Long took the baggy direction even further with below-the-knee shorts. 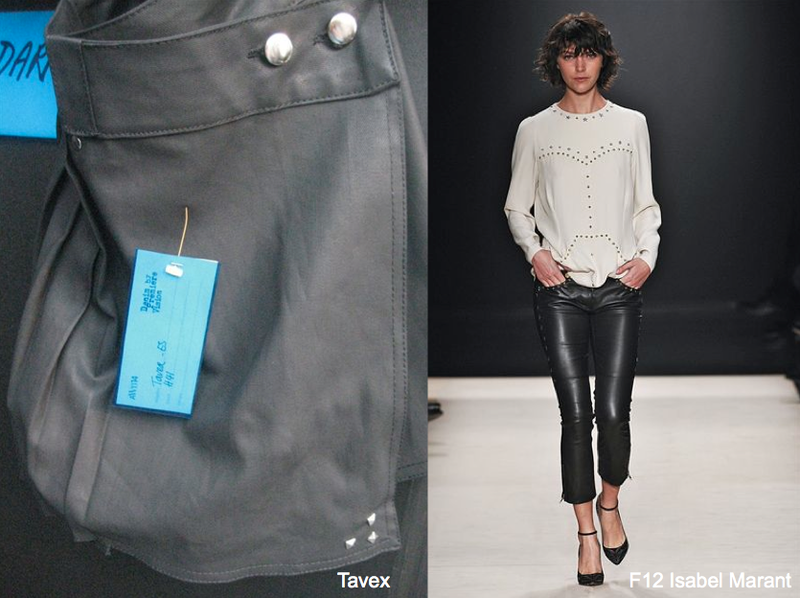 There’s a major shift happening in denim for Fall-Winter 13/14, and a lot of it has to deal with what’s happening right now in Ready-To-Wear. And boy is it ever the right time. 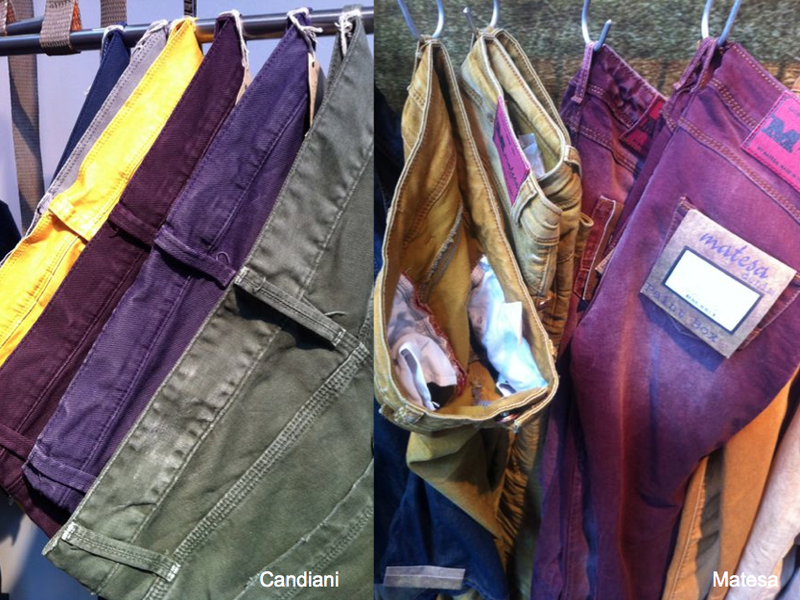 As some of you may know, the Denim by Premiere Vision tradeshow was held just over 2 weeks ago in Paris. And while the event is always pivotal in surfacing denim trends long before they reach the market, there was something distinctive about the show this time around. You see, in the past few seasons there has been a lot of concern with the rising costs of cotton; harboring new blends but also alternatives such as CHINOS and new ways to position denim like SHIRTING. This time around while most weavers were content to tout a RETURN TO DENIM (as opposed to the aforementioned chinos), treatments and finishes were introduced that bare a striking resemblance to what’s going on right now in fashion. COATINGS become everything, with leather-like coatings leading the way. 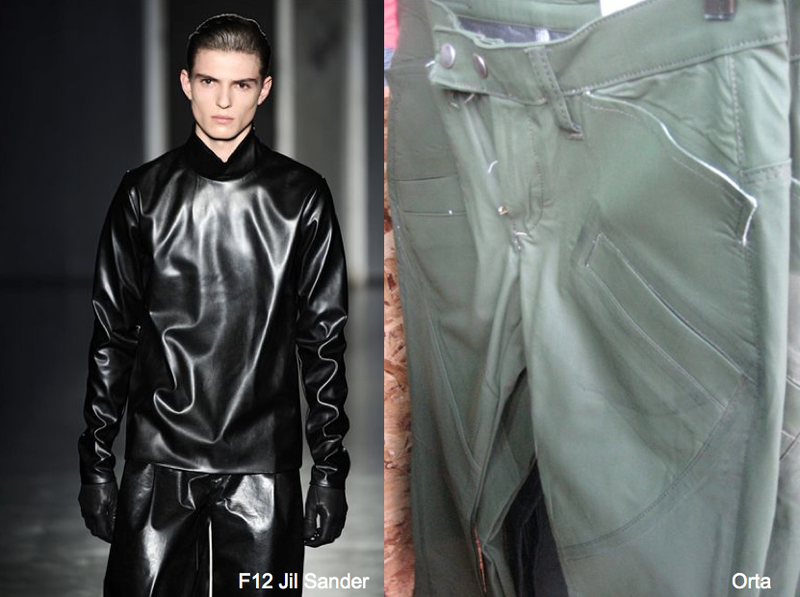 If you’ve been following runway trends in any estimation, you know that LEATHER is having a major moment well beyond the biker jacket and onto sportswear separates from tops to pants. 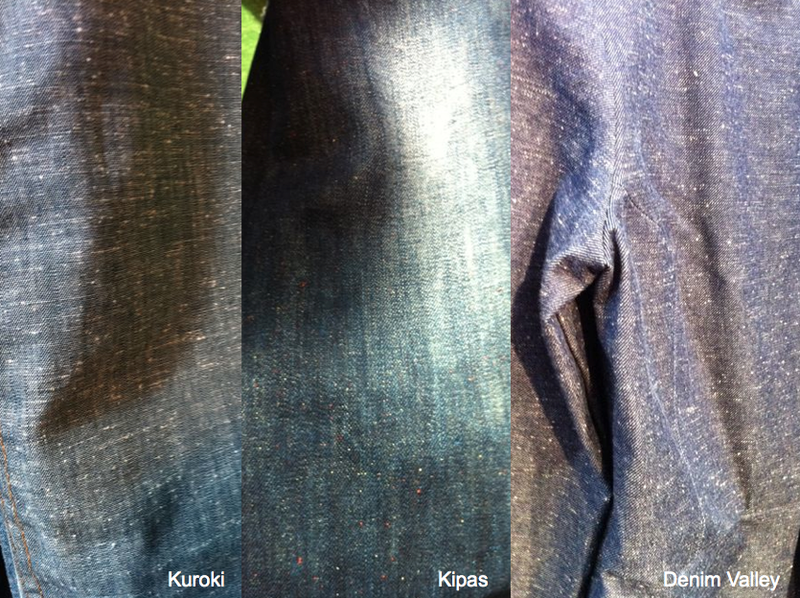 The degree to which these coatings are used vary from all-over applications to those which still reveal the denim underneath. 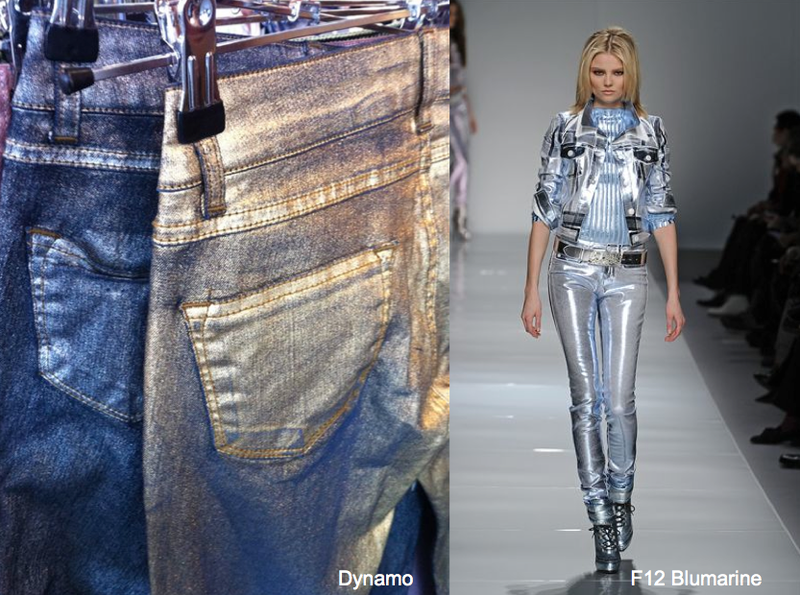 METALLICS, which appeared prevalently on the Spring 12 women’s runways also make their way into the denim sector in the form of coatings. 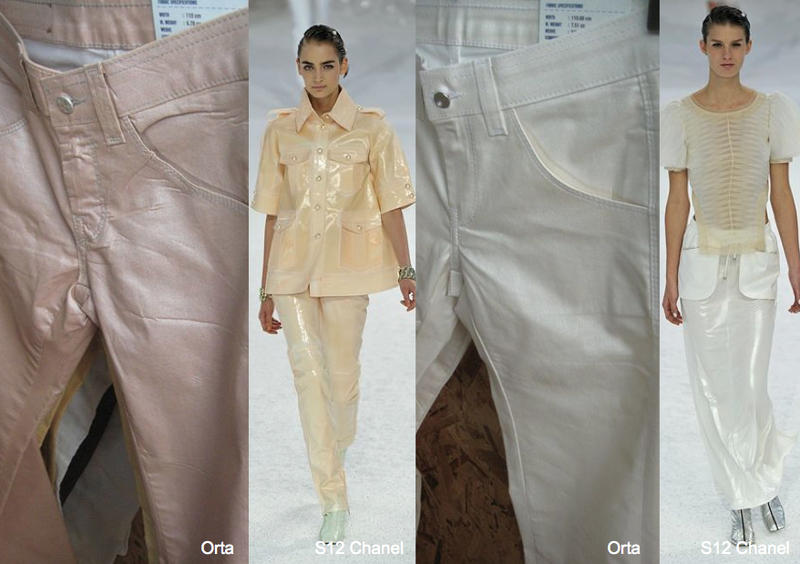 Extreme gold and silver applications are found along with more subtle GLITTER weaves and PEARLESCENT treatments, the later which bears similar resemblance to Chanel’s Spring 12 collection. Probably one of the most expected trends to move forward is COLOR. There is no denying that color is a major factor at retailers right this second, and some brands – like J Brand – latched onto the trend early on. 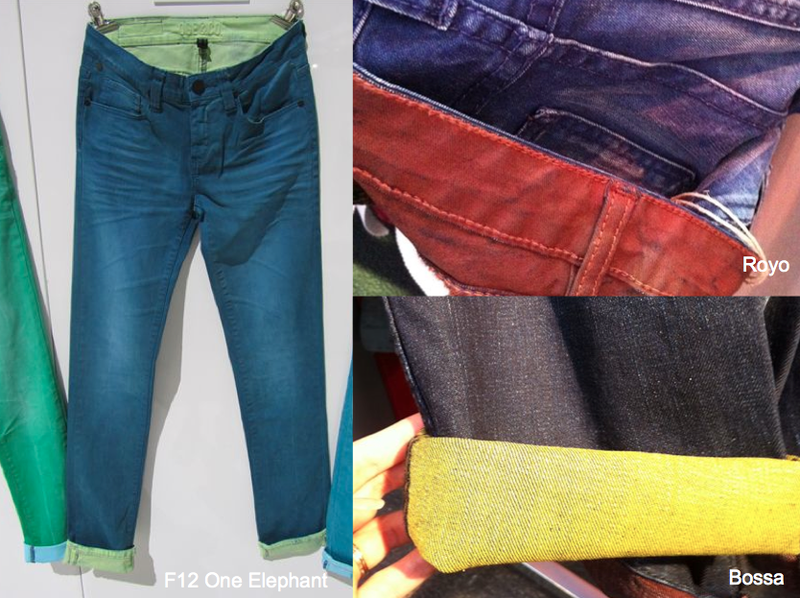 At last season’s Denim by Premiere Vision show, color was also a key trend, however it was expressed mainly on chinos. 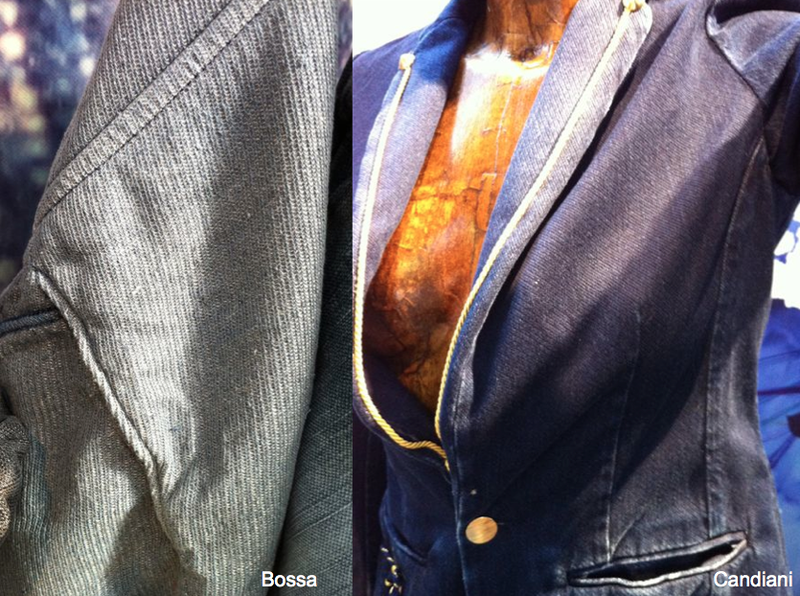 This time around, most weavers expand colored denim in season-appropriate ranges of olive, berry and goldenrod. DOUBLE FACED color also taps into the trend without going overboard. If you’ve set foot in any retailer lately, you know that PRINTS (in addition to color) are everywhere. 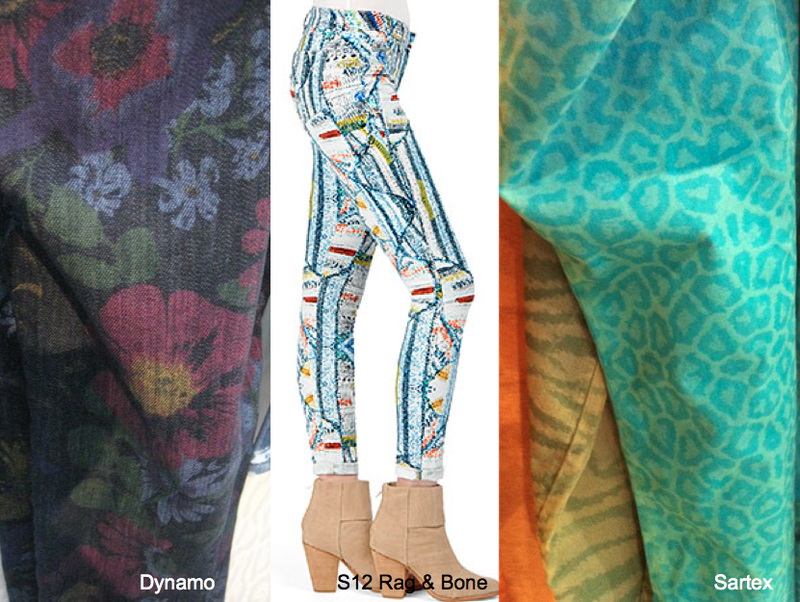 While printed denim has almost always been treated as novelty, there is no shortage of printed denim for Fall-Winter 13/14. 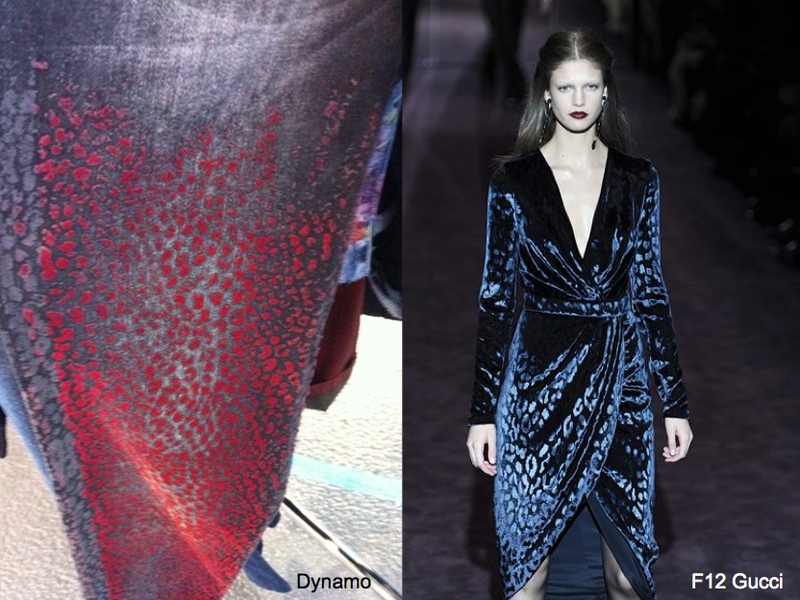 In fact, new 3D expressions feature lamination and even flocking, just hinting at the plush trend in ready-to-wear. Perhaps it is true that imitation is the sincerest form of flattery. One might think so with a glance at these KNIT LIKE WOVENS. Of particular note, Candiani’s new fabric lies somewhere between a calvary twill and knit jersey. While that concept was first introduced a few seasons ago, a newer expression comes in the form of NAPPY and TWEEDY fabrics. Normally when referring to a nappy fabric it’s only visible upon close inspection, but this time around, excessive naps populate denim and open the door to tweedy textures. Admittedly, denim brands are only just starting to think about fabric for Fall-Winter 13/14 now and some of the trends mentioned above are skewed more towards womenswear. Nevertheless, I’m a firm believer that these new trend-driven developments are just what the market needs to get us all back to denim (whether it looks like it or not).